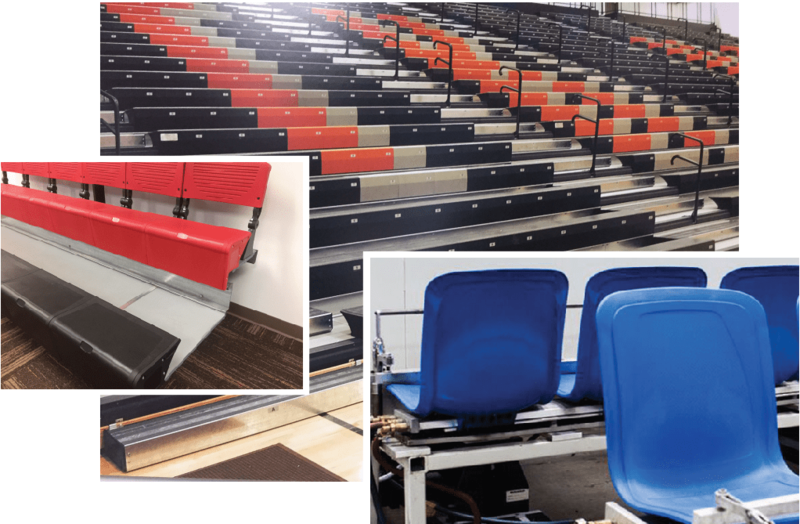 We manufature high-quality custom plastic injection molded seating for customers in a variety of industries. Grand Haven Custom Molding is manufacturer of plastic hydroculture & horticulture products for growing plants, including plastic plant pots, trays, flats and inserts for the greenhouse, propagation, nursery and retail markets. 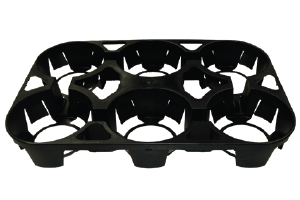 This One Gallon 6-Pack Pot Holder Accommodates Various Size Pot Diameters. Part Number: 01252010. 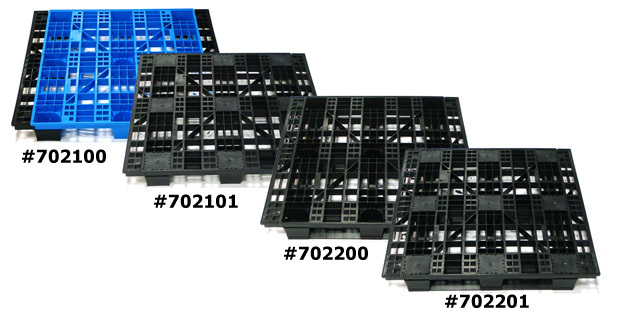 Nestable, Rackable Stackable Pallets resists weather, splitting mildew and rot. Special colors available upon request. Nests for efficient storage when not in use. Size: 40″ x 48″ and 48″ x 48″. Effizient designs products for process improvement. 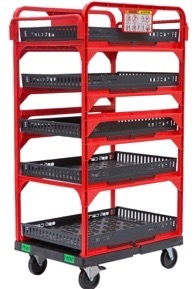 Our products reduce labor hours in transporting and restocking, minimize inventory handling, and improve back room visibility and in-store efficiency. Together these result in stronger sales with more motivated employees, an enhanced customer experience, and a noticeable increase in bottom line profits. 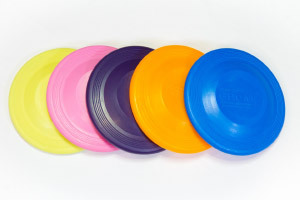 Customized flying disks with your company logo. 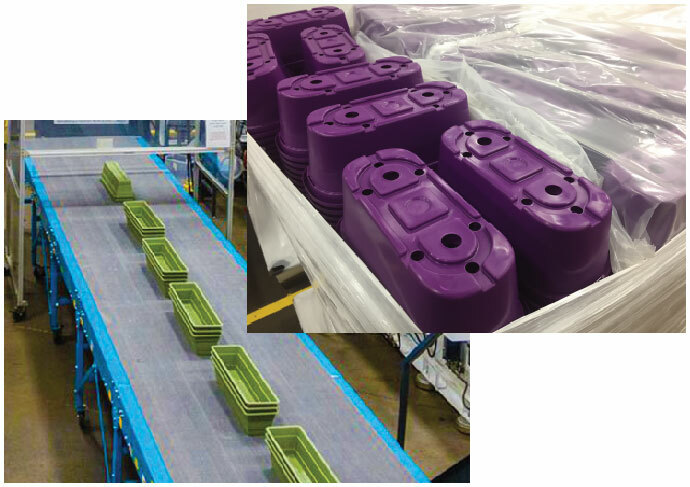 We manufacture containers that exceed industry standards for strength, durability and reliability while offering an extended life in the most rugged environments. Our containers have been used successfully for over twenty-five years in many manufacturing, production, machining and aerospace industries. 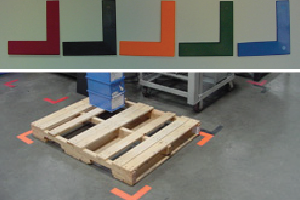 Designed to eliminate the use of colored duct tape in the standardization process of 5s, the 5s floor shadow is a cost-effective way to obtain durable standardization. 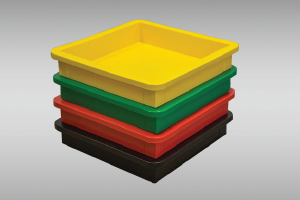 Molded from resilient ABS plastic, the 5s floor shadow is re-usable and can be purchased in any of the 5s solid colors shown. 5S Floor Shadows may be purchased pre-taped with a two sided industrial tape, or as an angle alone. They are re-usable as many times as needed. Pictured above is a pre-taped lean angle.